Have you ever heard of third-hand smoke? Most people haven’t. There is a lot more awareness of second-hand smoke these days, but not third hand. It took us a long time to recognize the health damages of smoking. There are still some people who try to argue that smoking is not harmful to health. They can point to some old person who lived a long life and smoked every day. They can also show us instances of people who never smoked and developed lung or another cancer anyway. But the studies continue to pile up that show that for any group of people we look at, the non-smokers, overall, have fewer health challenges than the smokers. This is especially important to me as a counselor because there is a strong connection between smoking and mental and emotional disorders. Substance abusers and the mentally ill smoke a lot, as any counselor who works around this group can tell you. It is not just the act of smoking that causes problems, which is where second-hand and third-hand smoking comes into play. Now cigarettes are not the only problem. Areas with high air pollution and poor air quality are likely to have increased rates of people with respiratory problems. Anything on fire is likely to cause problems. One stud, I read, said that people who burn a lot of incense can develop respiratory problems also. Sure smoke from a poorly set fireplace can fill a room with smoke, though most of this goes up the chimney. Forest fires and structure fires are not good for the lungs either. But cigarettes are the major cause of indoor air pollution. Smoke goes where it wants to. The smoke, fine particles and hot gas from the cigarette, are not the only problem. The basic chemicals in cigarettes are also significant issues. Tar and nicotine in the air don’t know to only go into the smoker’s lungs. They float around and fill everyone in the room’s lungs. 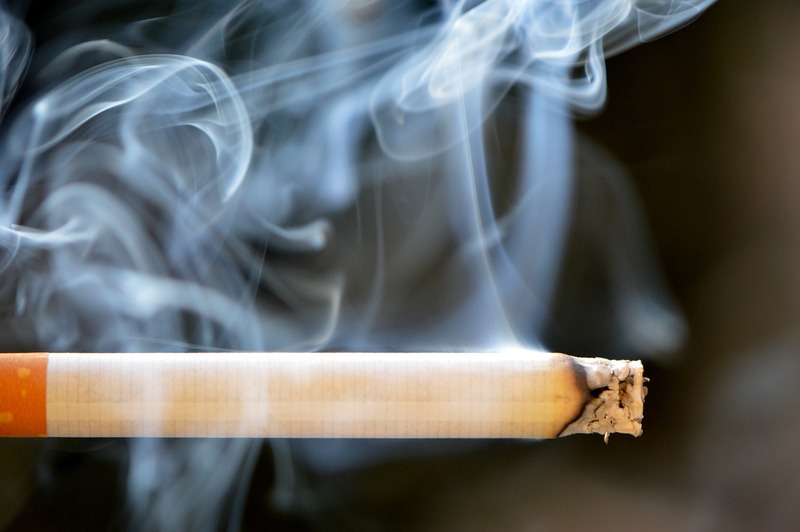 Now we know about the risk of second-hand smoke in restaurants and bars. We are also connecting the dots that show that kids who live with smokers have more asthma and other breathing problems. Parents and other adults should not smoke in an enclosed space where kids, the elderly or other susceptible people are present. Waiting till the kids leave is not enough though. Where is the smoke when you can’t see it? Eventually, the “smoke” in the air disappears. Where does to go? Some of it sticks to the walls and the ceiling, a lot of it settles to the floor. Now that residue, that tar, nicotine, ash, and other nasty stuff waits patiently in the carpet and stuck to the floor. Eventually, someone walks on the carpet, maybe a child crawls around in the shag. This could be weeks or months after the smoker has left the room. The longer the smoker was in the room the more gunk is in the carpet. Shampooing and vacuuming get some of it out but there is still plenty left. When that child crawls around they are stirring up a lot of that residue. They are only inches from the surface and the little particles find their way into their lungs. Now they are exposed to the smoke of a smoker who has not lived in the house since they moved in. They may never have met that smoker but they are impacted by that residual smoke. So there you have it. Third-hand smoke is breathing in the residue from smoking that is stirred up from surfaces long after the smoker has left. It may not be possible to ever completely decontaminate the room. This has led to a movement to keep some rooms forever uncontaminated by anyone who has smoked. We would like to think that this would solve the problem. But we know that despite all the warnings parents still smoke in the car with their kids present and we know that if they smoke in the house even when the kids are not home those kids and other people long after will be exposed to the toxins from that smoke. Now I know that quitting smoking is not easy. Former Heroin addicts tell me it was easier to kick heroin than cigarettes and I believe them. But maybe the idea that long after the smoker has gone their children or grandchildren may still be breathing in the results of their smoking will spur some people to try to quit. This blog is about having a happy life. So if you chose to keep smoking that is on you. But as hard as it is to quit I can’t think of anyone who has stopped smoking and stayed quit that has ever told me they regretted quitting. That is my encouragement on making the change if you decide to do so. If you are still smoking, isn’t bit time for you to quit. This entry was posted in Tobacco- Nicotine & Smoking and tagged health damages, Quit Smoking, Recovery, second hand smoke, smoking, Third hand smoke by David Joel Miller. Bookmark the permalink.